Happy World Chicken and Egg Day 2018! Chicky’s at it again! But this time, I found her missing baby egg! Remember when I posted a picture where Chicky is looking for her missing newly laid egg? I saw her on top of a roof along Cubao and she was sad. Well, not anymore! She’s happy, she’s lively and she’s with her baby egg! Yippiee! How did Chicky found her baby egg? Of course, you guys and other online friends did most of the work on looking for clues that eventually led us and Chicky to TriNoma Activity Center. Thankful for the #OctoberFresh event held at the same location where the missing baby was found, I got the chance to enjoy a mini reunion with my BloggerBabes! 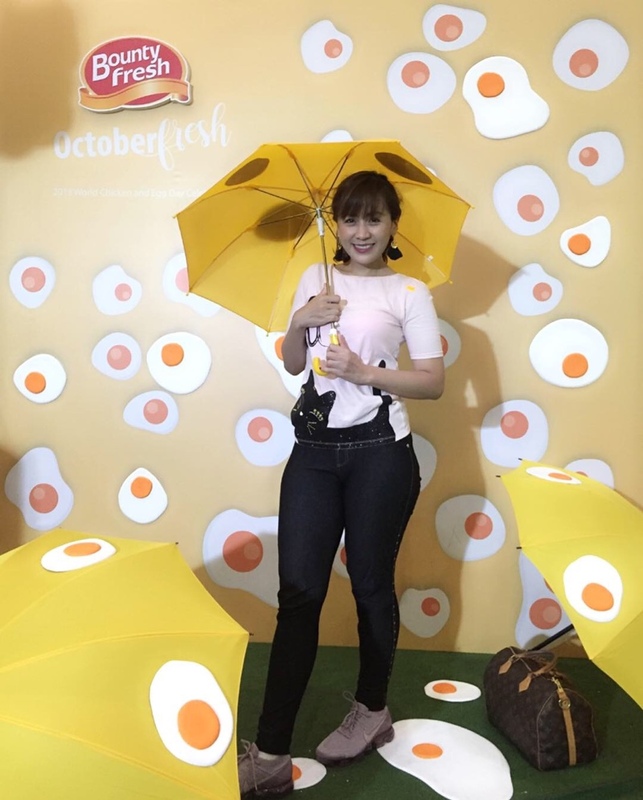 It was more invigorating to celebrate the World Chicken and Egg Day last October 12, 2018 because I’m with my beautiful BloggerBabe Friends! 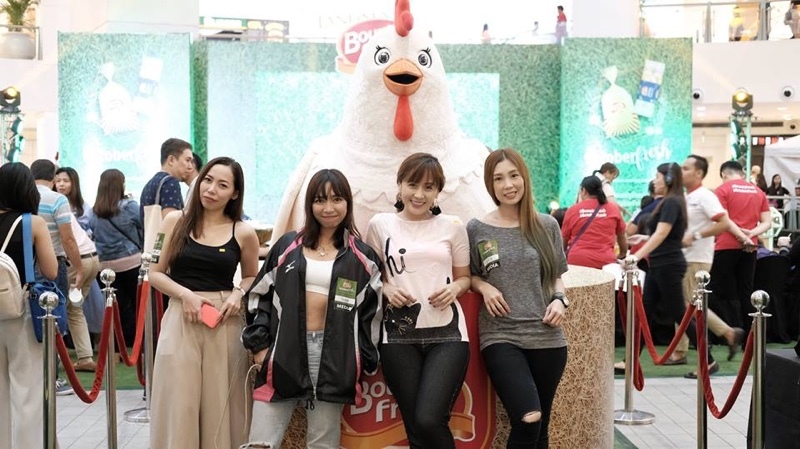 The event was filled with lots of chicken and egg booths paired with lots of activities and in-store promos. It was a perfectly fun get together for families and friends. 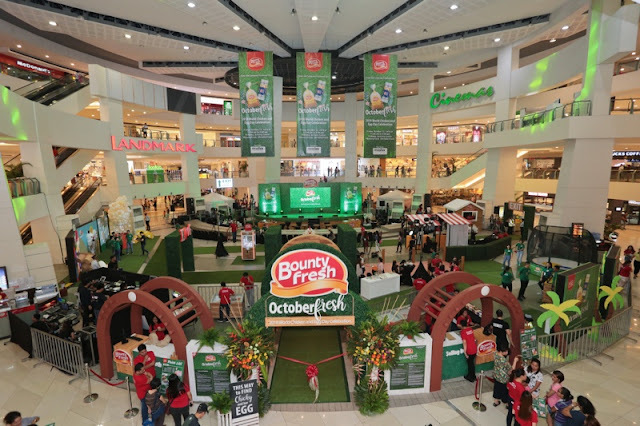 According to Bounty Fresh, this is one of the many ways of saying thank you to their devoted and beloved customers for trusting them and making them number one when it comes to serving in every Filipino feast. Not only that the booths are super enjoyable because of the activities, some are also informative. They featured Bounty Fresh products, such as eggs and chicken. These are produced by ISO certified technology and the entire process of production is at the most up-to-date feature. I was able to capture some pictures during the event. 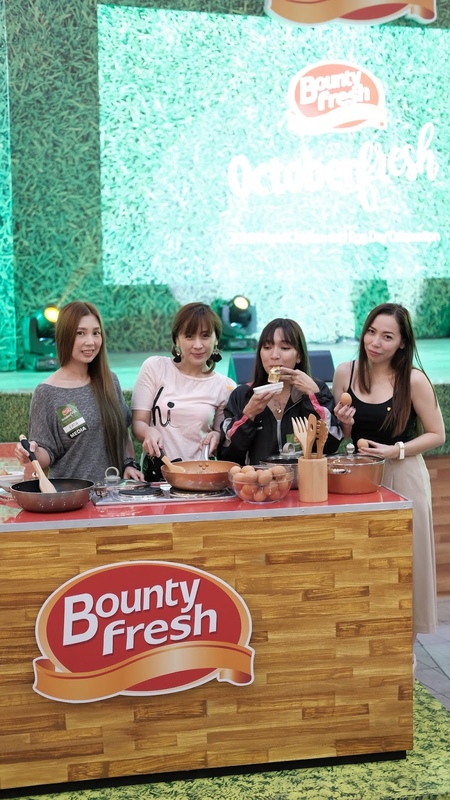 Aside from the booths, there is a cooking segment that features none other than the freshest, tastiest, healthiest, and absolutely affordable products of Bounty Fresh that every Filipino household can put their hands on to. Why have cooking display like this in such event? It’s to highlight the theme of #OctoberFresh, which is focusing on the benefits of purchasing fresh products, mainly chicken and egg. 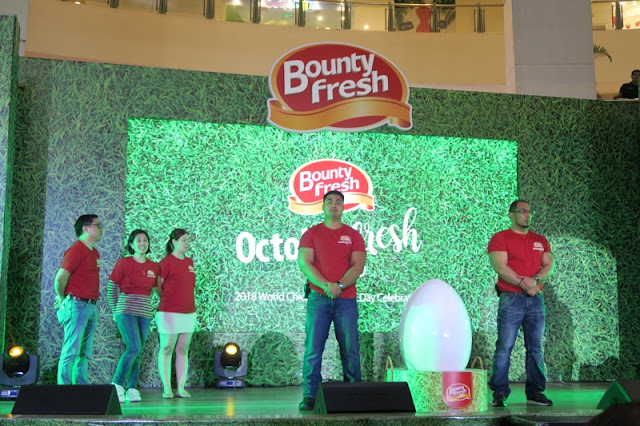 Within the activity center ground, Bounty Fresh also prepared some activities relating to chicken and eggs. And to those who were a part of helping Chicky in locating her missing baby egg, they were given a task and an awaiting reward if they were able to do the task successfully. They have to battle on stage with other competitors. There’s the “SWEGG” Dance Challenge, “Eggs Factor” Season 2 Cooking Challenge and of course, the “Beatbok” Challenge. The winner can take home a grand prize of Php100,000 together with Masflex items and consolation prizes. It wouldn’t be complete if there weren’t any raffle draws, right? Good thing, Bounty Fresh is prepared for such situation. Everyone who attended the event is a part of the draw and has a chance to win lots of raffle prizes. What better way to end the day than winning luckily and taking home goodies, right? 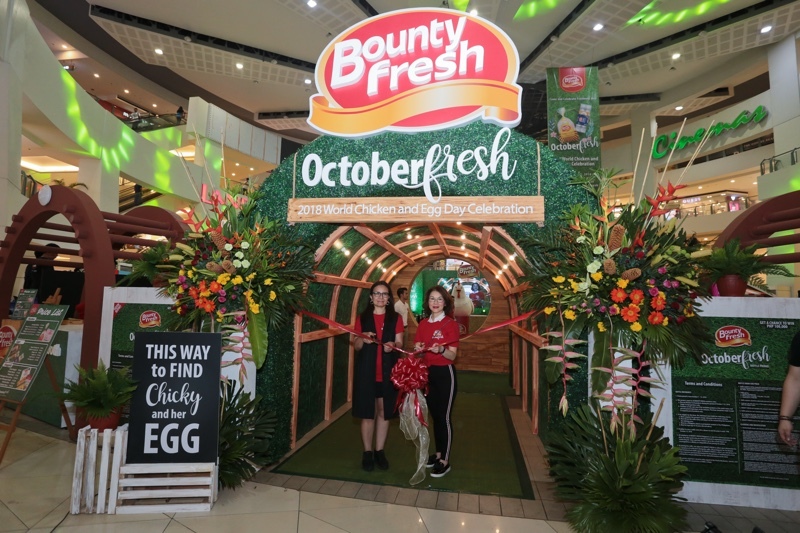 But if you’re not lucky enough to win the draw, you can still purchase Bounty Fresh products at a very low price because they also have Chicken and Egg Sale at the event. Don’t think that we’re celebrating alone! The same event is celebrated in various countries like USA Brazil, Australia, France, The United Kingdom, and some Asian countries like Indonesia and Vietnam. Chicken and Egg Day all over the globe! The BloggerBabes really made the most of the celebration! It was definitely fun and the #OctoberFresh event was a success! Thank you so much, Bounty Fresh for inviting me and crew! Ang daming eggs. Organic ba tong mga eggs nila? I tried U.S. Pulses Flexitarian Diet!